Cape Cod extends off the Massachusetts shoreline like a finger crooked at “come hither” — and there are plenty of reasons the crowds do every summer. Forward thinking conservationists preserved the outer cape as a pristine beach environment, full of white-sand beaches and dunes fronting the crashing waves of the Atlantic. The rest of the Cape, meanwhile, abounds with family-friendly attractions, from the guilty pleasures of mini-golf and ice cream to the more active pursuits of boating and biking. The only problem, of course, are those crowds that gum up the highways and beaches every summer afternoon, making it difficult to appreciate all of the attractions in their midst. 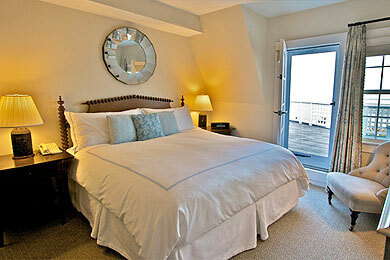 That’s part of what makes the jaw-dropping luxury at Chatham Bars Inn so special. 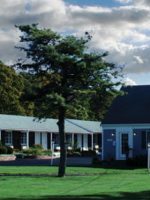 Located in the quaint historic town of Chatham in the corner of the Cape, the resort provides an oasis from the crowds, where guests can experience the Cape the way it was decades ago (or, in the opinion of many residents, the way it should be.) 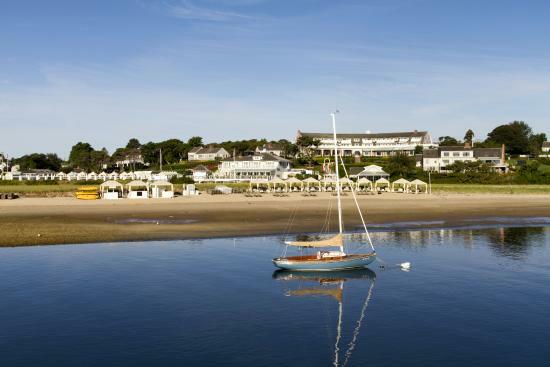 The first grand summer resort on Cape Cod, Chatham Bars has virtually cornered the market on luxury in the past century. Founded in 1914, the inn retains a Great Gatsby-ish ambience that pleases traditionalists — all white columns and rattan chairs on a verandah overlooking the ocean. But a renovation in 2007 completely overhauled the amenities to bring it up to 21st century standards for opulence. Guests can walk down the bluff to the beach, play tennis on clay courts, or board an expedition on the inn’s newly redesigned sailing fleet all without leaving the resort. At the same time, its strategic location at the very crook of the Cape allows guests to drive easily to the honky-tonk pleasures of the Upper Cape or the pristine seashore of the Outer Cape. 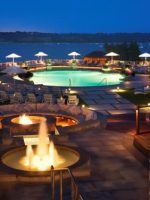 In addition to updating the guestrooms and restoring the grand lobby and verandah with its signature 180-degree views of the ocean, the recent $14 million renovation added a new spa that is among the best in New England, along with an accompanying outdoor pool and landscaped Japanese gardens. The inn also added environmental awareness to its list of priorities, with eco-friendly changes including fluorescent bulbs, a newly efficient HVAC system, and an electric golf cart. While the makeover made the resort newly fashionable for couples and girls looking for a getaway spa weekend, it didn’t change the fact that this is first and foremost a family resort, with four separate kids’ programs catering to different age groups, and families coordinating their vacations around one another for yearly summer reunions among the children. 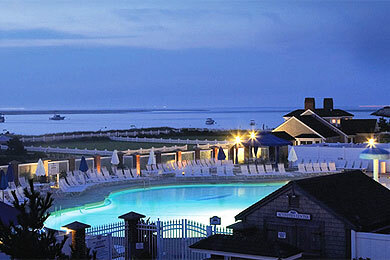 Chatham Bars sprawls over 25 acres of oceanfront land. At the heart of the resort is the original 1914 main inn, which includes 40 renovated guestrooms. An additional 177 rooms are located in cottages spread throughout the grounds. Rooms in the main house include standard rooms with queen beds and larger suites that include a king-sized bed and queen-sized sleep sofa. Families with smaller children might be more comfortable in the main inn or in the cottages immediately to the left of the main building, which are more convenient for dining and activities, while still allowing for a short walk to the beach. The cottages offer more spacious accommodations, with one king- or two queen-sized beds; and some suites that also include queen-sized sleep sofas. While some of the cottages include gas fireplaces and private decks overlooking the ocean, sadly they do not contain kitchens, so families aren't able to self-cater meals. Cribs and cots are available at an additional charge. Pack n' Plays are complimentary. Perhaps the most desirable rooms are those in the cottages that front the beach to the left of the main inn as you are looking towards the ocean. They offer the best access to the water while still being close to the pool and the main lodging. Room decor is not going to win any avant-garde design awards -- all of the 200-plus rooms are decorated in a posh but highly understated style, with a palette that might be described as "beach in winter" -- white, beige, and grey. But if the rooms aren't overflowing with character, they are at least overflowing in little luxuries, including such name-brand extras as Frette linens and Aveda bath products. All of the rooms are suitable for families with the exception of the new Spa Suites (limited to adults only) and those rooms in the Beach House, which sit over the restaurant and can sometimes have a noise problem at night. My wife and I stayed at the Inn a few weeks ago for a long weekend. It was our first trip to the Cape and everything that's been said here was spot on! We couldn't have asked for a friendlier, cleaner, more relaxing time than our time in one of the king suites. I don't remember the gentleman's name at the desk when we checked in but it was ~1:00am after a long flight and drive from Logan....he was personable, friendly and patiently answered every question we had with a smile. That's customer service worth writing about! We can't wait to make a return visit next spring. Spent two nights last weekend at the Chatham Bars Inn. So quaint and peaceful with an awesome staff. Food was great and rooms were spacious and clean. If you can get to the spa I'd highly recommend it. Worth every penny :) Can't wait to go back! Thanks Chatham Bars Inn for a wonderful stay! 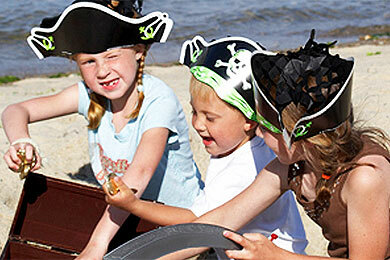 The inn is renowned for its kids programs, which are divided into four different groups by age. Kids age 4 to 6 follow a day program that includes tidepooling, tennis, cookie-making, and an evening program with make-believe pirate or princess parties, slumber parties, and talent shows. For kids 7 to 9, activities during the day include beach sports, "edible art" and crazy hat making; during evenings, they participate in movie nights and karaoke among other activities. Kids age 10 to 12 venture off-property during the day for boat trips to a sand bar popular with harbor seals, or trips into town along with cooking classes and tennis lessons on the grounds. In the evenings, they live it up with beach bonfires, video games, and trips to see the always popular Cape Cod Baseball League. Finally, teenagers 13 to 17 take longer boat rides that include hauling lobster traps, playing beach volleyball and engaging in volunteer opportunities in the surrounding community. All groups run in mornings from 8:30 a.m. to noon, and in the evenings from 5 to 9 p.m. The 10 to 12 age group also has an extra afternoon session on Wednesdays and Fridays from noon to 4 p.m. In addition to the formal kids' programs, there are plenty of other activities to keep both kids and their parents busy. The inn has a clay tennis court that dates from the earliest days of the resort; professional players offer lessons to all ages. 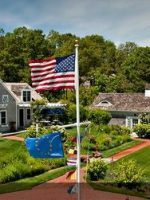 There is also a well-manicured croquet court on the south lawn near the ocean and a heated outdoor pool for families (a smaller, more secluded pool is for adults only.) Of course, water activities take place at the resort, with fishing charters and lobster cruises sailing directly from the dock. A separate water taxi makes a trip every half-hour to the barrier beach, where grey seals are often sighted. In addition, the inn offers nature tours of Monomoy Island, a wildlife refuge that provides another habitat for seals, shorebirds and horseshoe crabs. 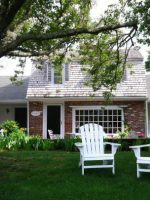 The inn is well-situated to take advantage of the cape's other family-friendly activities. If it's mini-golf and fudge shops you are after, head down Route 32 to Hyannis. A more athletic pastime is a ride down the Cape Cod Rail Trail -- a paved, graded trail along a former railroad right of way through several state parks on its way to the National Seashore. Another favorite destination is the Cape Cod Museum of Natural History, which offers art activities and nature walks in addition to its exhibits. 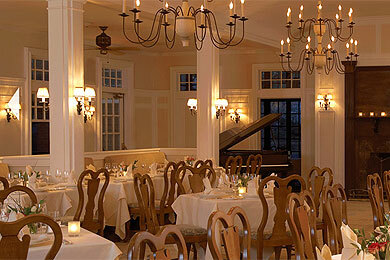 Chatham Bars Inn offers three family-friendly restaurants of different ambiences and cuisine. All of the restaurants (with the exception of the Stars) offer kids' menus that include grill chicken, salads, and other healthy options in addition to the standard offerings of mac n' cheese, chicken fingers, and burgers. High chairs, booster seat, drawing paper and crayons are also provided. For lunch in summer, the more casual ambience of The Beach House hits the spot. An upscale version of the New England clam shack, it offers blackened fish tacos, beer-battered fish n' chips, and its justly famous lobster rolls, which are piled high with fresh, buttered lobster meat with a minimum of filler. On select nights, the Beach House also offers an embarrassment of riches in the form of a prix fixe clambake dinner, with raw bar, steamed lobster straight from the sandpit, and peach crumble for dessert. Also a great option for lunch, with or without kids, is the Veranda restaurant, which offers its own raw bar, grilled lobster, and gourmet Panini sandwiches and pizzas, served at outdoor tables with a view of the waves. The only dining option where children are not allowed is the main dining room, Stars, which retains the formal character it has for the past century, with crystal chandeliers and panoramic ocean views through floor-to-ceiling windows. The food here is anything but stuffy; however, it includes subtly experimental dishes ranging from littlenecks steamed in lemongrass broth to lobster ravioli with vanilla froth. Chief among its offerings, of course, are grilled filet of beef and lobsters. While it's possible to walk in, tables get full up in the summer weekends, when a reservation is in order. The fitness center has a variety of cardio and weight machines, along with classes in yoga, water aerobics, kickboxing, and other workout sports. The inn can arrange babysitters through an outside service. 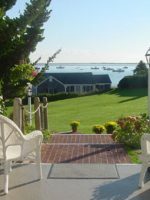 Chatham Bars Inn is open all year, though by far the most popular time to come is during the summer months, when the Cape is in full swing and the heat and humidity cry out for a dip in the ocean. 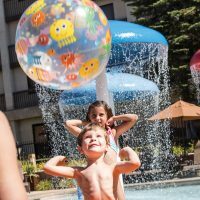 High season here is longer than some other New England resorts -- lasting from June to September, the same time that the resort offers its vaunted kids' program. So-called "shoulder" season, when rates are slightly lower are only in May or October, both of which can be iffy weather-wise. While you can generally be assured of warm weather in May, a cold-snap is always a possibility until Memorial Day (and even beyond; this is New England after all!) Furthermore, because of the resort's location right on the Atlantic, the ocean really isn't warm enough for swimming until June -- or July or August if you are a wimp with the cold. It remains warm enough for swimming through September, though temperatures drop precipitously after Labor Day, and water sports are really not a reliable option in October. Chatham is located on the extreme southeast tip of Cape Cod. It's a two-hour drive from Boston without traffic along Route 3 and US Route 6; and approximately five-and-a-half hours from New York along Interstate 95 and US 6. It's important to time the trip right, however, especially on summer weekends when traffic can make the trip interminable. Avoid leaving on Friday afternoons at all costs -- it's worth it to leave Thursday or Friday morning, or else wait until Friday night when you can have the roads to yourself, even if it means arriving late on Friday with the kids sleeping in the backseat. The closest major airport is Logan International Airport in Boston, which offers rental car accommodations of all kind. It's also possible to fly from Boston to the regional Barnstable Municipal Airport, from which you can rent a car for the half-hour drive to Chatham. The inn's spa was an instant hit when it first opened, that it quickly became a go-to destination in the region. The facility spared no expense with special treatment rooms with steam showers, Vichy showers used to wash off exfoliating scrubs while the guest remains on the table, and hydrotherapy tubs. In addition to more traditional Swedish and deep-tissue massages, the spa offers a special ocean-inspired massage with flowing strokes and warmed stones and seashells, an refreshing outdoor massage in a private poolside cabana, and a 90-minute signature treatment in which powdered local herbs and sea algae is massaged into the skin.